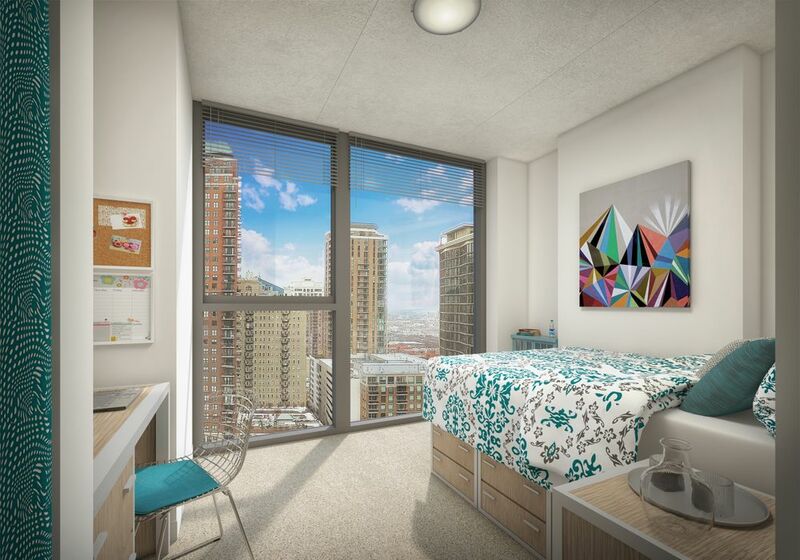 Your student accommodation is a block from Grant Park, Chicago’s 319-acre green heart. Head to The Field Museum, home of Egyptian mummies and dinosaur skeletons; or discover the submarine wonders of Shedd Aquarium. In the evening, The Chicago Theatre is your go-to for world-class live music, while local chain Lou Malnati’s gives you an authentic taste of the city’s famous deep dish pizza. The Harrison “L” station is a two-minute walk away. 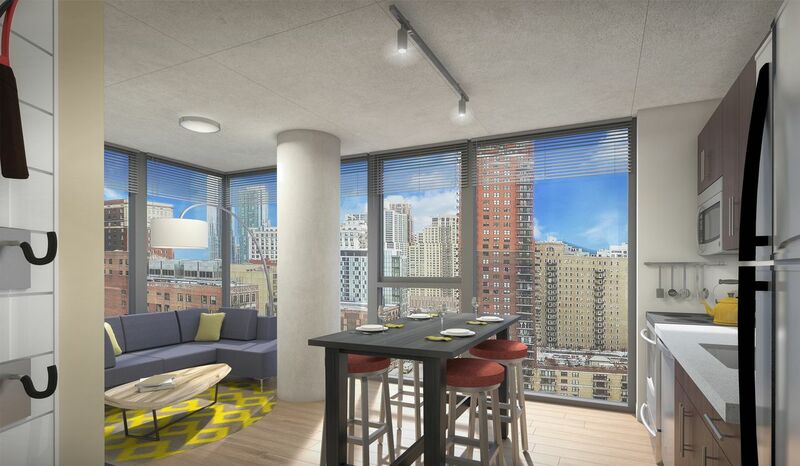 30 East offers furnished studio, two-, three- and four-bedroom student apartments in Chicago. All floorplans boast floor-to-ceiling windows, ensuite bathrooms and Wi-Fi. You’re a seven-minute walk from Roosevelt University, and a nine-minute walk from DePaul University’s Loop Campus. After class, head to the self-serve coffee bar for a quick pick-me-up, or prepare a snack in your stylish kitchen. Staying on top of your work is easy with group study rooms and a tech bar with free printing at your disposal. 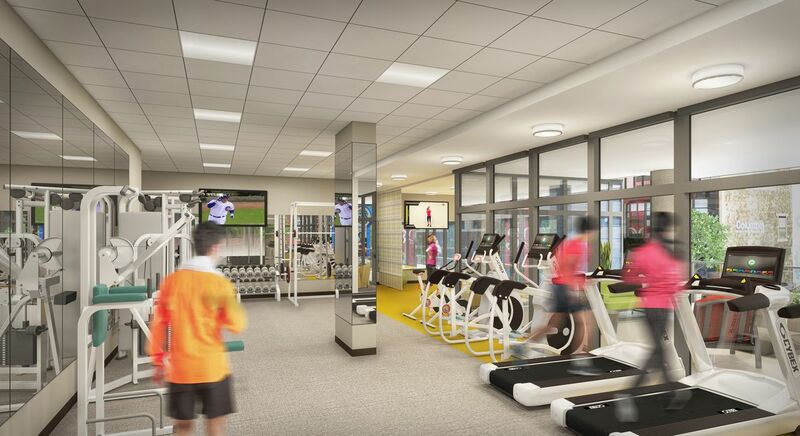 The state-of-the-art fitness center is a great place to decompress after a busy day. All apartments include a full-size washer/dryer and a 40” flat screen TV. Spend evenings admiring panoramic Chicago views while hanging out in the top-floor Sky Lounge; or relaxing on the outdoor terraces. The latter have fire pits for cozy winter evenings, and gas grills for summer cookout parties. We couldn't find a room that matches your preferencesView all Private Room in 30 East. We couldn't find a room that matches your preferencesView all Entire Place in 30 East.